This Mother’s day, give mom the perfect gift to highlight her unique fashion style. 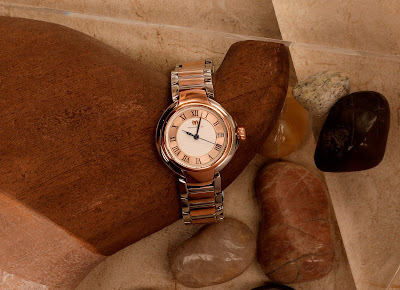 TechnoMarine offers timepieces with new designs that reflect mom’s strength and elegance. Crafted with the precision of Swiss-Ronda movement, TechnoMarine Sea Beauty women’s watch comes in a 32-mm case made of stainless steel. You can choose betweenthe Sea Beauty stylish rose gold and silver dial color; or the Sea Beauty in a chic yellow gold and silver dial color. Perfect for adventurous and fearless moms, the Sea Beauty timepiece can withstand water pressure up to 30m. Let mom’s fashion style shine this Mother’s Day with 30% discount on TechnoMarine’s Sea Beauty watchesand other featured collections from May 2-13, 2018. Visit TechnoMarine stores in Greenbelt 3, Robinson’s Galleria, Robinson’s Magnolia, Shangri-La Plaza, SM City Cebu, SM Lanang Premier Davao, SM Mall of Asia, SM Megamall, North Edsa, TriNoma, and Uptown Mall.